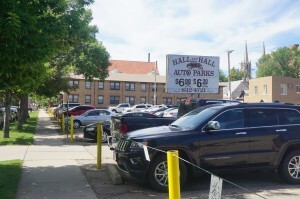 Another Uptown parking lot and a 17th Avenue sports bar might not be long for this world. 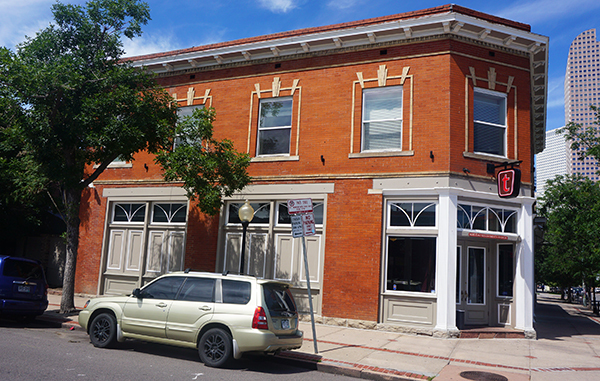 Southern Land Co. bought the Tavern Uptown building this month as part of a 1.5-acre stretch running along Pearl Street from 16th to 17th avenues, city records show. The Tennessee-based developer paid $11.5 million for the site and has a big apartment project outlined on its website. Online the company says it will build 316 apartments and 12,000 square feet of retail space on the site. The project is scheduled for a 2018 completion, according to Southern Land’s description. Southern Land declined to comment when reached by email on Friday. A rendering shows a single building that takes up virtually the entire 1.5-acre property. The project would replace the Tavern Uptown restaurant building, a stretch of surface parking lot and a 90-year-old 27-unit apartment building at 16th Avenue and Pearl Street. Zoning for the land allows eight stories of development for most of the plot, with only five stories allowed at the corner of 16th and Pearl. Tavern Hospitality Group, which operates the Tavern restaurant chain, was the seller of the parcel. Tavern Hospitality Group representatives did not respond to requests for comment by press time Friday. Uptown is booming with jumbo apartment projects. Trammell Crow Residential is building 372 apartments at its Alexan Uptown project at 19th Avenue and Logan Street. Trammell Crow bought the property between 19th and 20th avenues for $6.95 million in October 2014. That site is zoned for 12 stories of development. RedPeak opened the four-building 302-unit One City Block at 18th Avenue and Pennsylvania Street in late 2013. The Burgwyn Co. is also planning a 99-unit senior living apartment building at 16th Avenue and Pennsylvania Street, just one block west of Southern Land Co.’s site. The Uptown project is also the second major Denver apartment complex Southern Land is building. The company has work underway at its 300-apartment project at 18th and Central streets in LoHi. And it is also building 246 more apartments at 30th and Pearl streets in Boulder.